Joyce Longfield, the CPC chairperson, reported that the organization has remained steady over the first year, recruiting 13 new members in addition to the 9 founding companies. 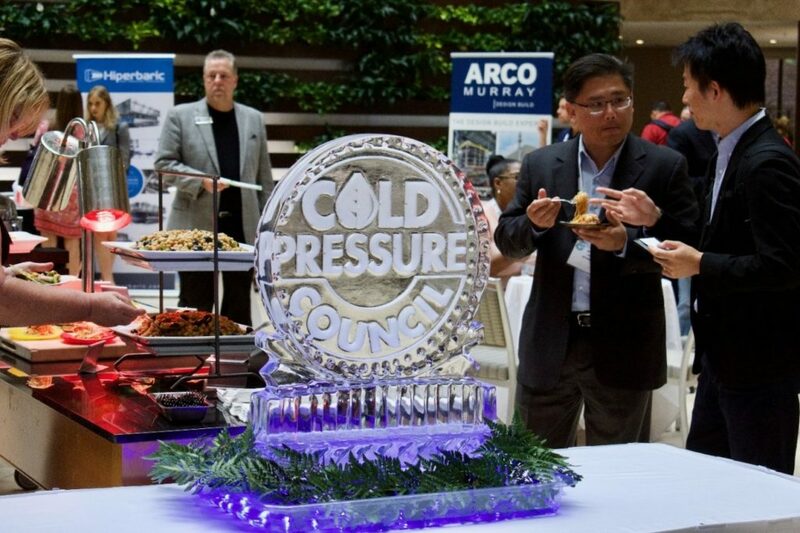 The High Pressure Certified (HPC) logo successfully debuted on January of the current year. Founding members like proudly incorporated the logo on their labels to indicate that their products have been processed with HPP. Nowadays, the logo is available for HPP acid juices, RTE meats, RTE vegetable dips and spreads (i. e. guacamole, salsa, hummus, dressings), and the CPC is working on guidelines for new HPP products such as seafood. In order to use the HPC logo, CPC members must submit the documentation described in the guidelines for review. A third party auditor evaluates the submission to determine if the member is authorized to use HPC logo. Furthermore, the CPC is developing an online platform that will facilitate the HPC logo authorization procedure. Michael Durbin, Engineering and Plant Maintenance Manager at Evolution Fresh, a long-time customer, shared that working with HPP and Hiperbaric has been extremely satisfactory for the company. He also highlighted the importance of shared responsibility by both the customer and the HPP equipment supplier. The customer should efficiently implement best sanitation and hygiene practices for food processing, dutifully follow a strict maintenance schedule for the HPP unit, and challenge by committing to operation optimization and product innovation. On the other hand, the HPP equipment manufacturer should provide appropriate troubleshooting advice and continue to improve the durability of the HPP unit components, both of which are top priorities at Hiperbaric. Constant communication between Evolution Fresh and Hiperbaric also resulted in a more sophisticated and productive operation, and the successful stories will certainly carry on with continuous effort by both companies. Kurt Penn co-founder of Good Foods coincided on the benefits of HPP as well, highlighting how cold pressure allowed a clean-label alternative of premium quality foods. As with most things in life, not everything was given straightforward but Good Foods has unceasingly pursued excellence, therefore it is no coincidence that the company thrives as one of the premium brands for HPP guacamole, dips, RTE wet salads, salad dressings and juices. Along with the cumulative expertise, Good Foods is always on the run to amaze consumers with innovative, great tasting products. Daniel Thien and Dr. Prem Singh (Teinnovations) discussed the best practices for HPP packaging and provided a brief overview of the technical requirements of films and trays. Teinnovations has developed a strong, reliable packaging in which trays fully filled with air (100% headspace) were sealed with plastic film and the packaging remained intact after HPP. On another promising packaging application, Sydney Hansen from Dow Chemicals exhibited the PacXpertTM at Hiperbaric’s tabletop, a novel packaging solution intended to simplify handling of bulk products with a flexible, durable, lightweight, and cost-effective stand-up pouch. 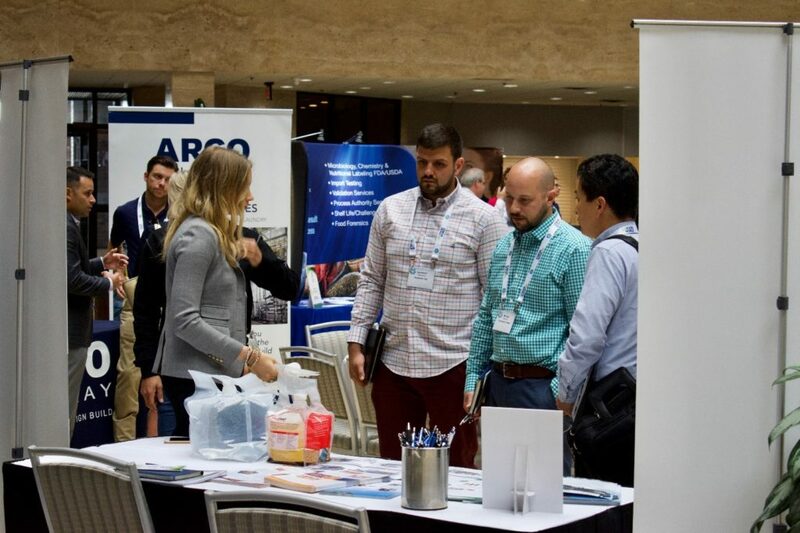 Hiperbaric was delighted to meet with other United States customers that attended the conference: American Pasteurization Company, Greenplant, Lidestri-Wegmans, Lineage Logistics,, Nutrifresh, Sandridge, Suja, and West Liberty Foods. The message of the CPC is quickly trespassing frontiers, attracting Hiperbaric clients from all over the world like (Belgium), Altex (México), Press Foods MX (México), (Japan). In fact, customers and participants from the audience residing outside the United States publicly expressed they hope that the CPC will sometime arrive to other countries. Aside from clients, Hiperbaric certainly enjoyed reuniting with professional collaborators from the Art of Beverage, FDA, Kuraray, Maxxam Analytics, PMMI, Printpack, and others. 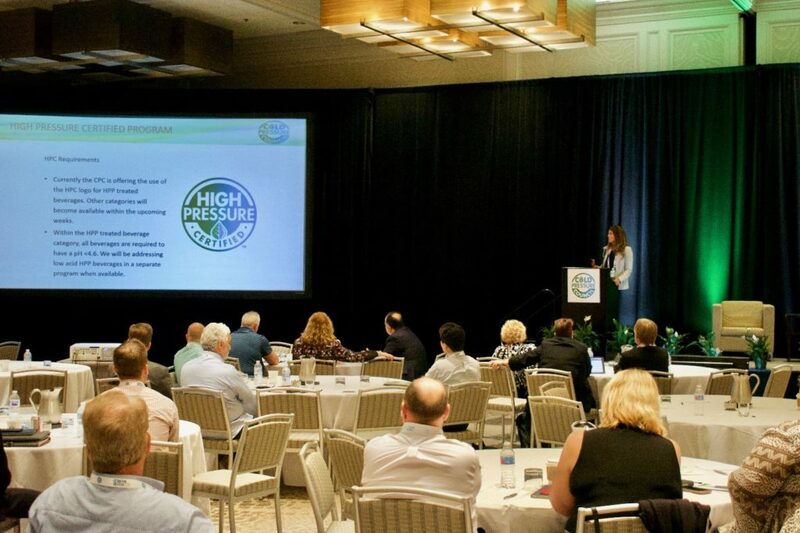 Much more was discussed in Itasca (Chicago, IL) during the technical presentations of HPP scientists that opened the eyes of attendees on the potential use of the high pressure technology. Applications Specialist and Ph. D. candidate Mario González-Angulo outstandingly represented Hiperbaric, sharing his research advances in the field during the presentation entitled “Validation of HPP coconut water for Clostridium botulinum” The presentation was equally well received by industry members and his peers, and more technical details on the following link,. Moreover, the highlights of other presentations are briefly provided over the next lines. Dr. Mary Grace-Danao presented some preliminary results that suggest HPP enhances allergen digestibility of soybeans and edamame (immature soybean), implying that high pressure could be applied for the development of allergen free foods. Pressure-induced color change as a result of myoglobin protein destabilization is a well-known issue for raw meat products. Nonetheless, Dr. George Cavender advised that binding iron of the protein with carbon monoxide or curing with natural ingredients stabilizes myoglobin, yielding HPP meat with a red color closer to the appearance of unprocessed meat. Interestingly, seared beef steak seems to retain a deep red color even after processing at 6,000 bar (87,000 psi) with a 6 min holding time. The HPP market at Oceania continues to expand and encompasses interesting food commercial applications, as in the case of HPP milk discussed by Dr. Roman Buckow. According to the presenter, texture is thicker and more consistent whereas the flavor of milk is enhanced with cold pasteurization. The shelf life of HPP milk is around 45 days under refrigeration, and pre-screening for foodborne pathogens in milk helps to achieve the microbial food safety objectives. Nonetheless, Dr. Buckow indicated more research is needed to properly evaluate the changes in the nutritional profile of HPP milk. Generating a “safe harbor” implies there is sufficient scientific evidence of food processing conditions that will not allow pathogen growth or recovery. Under such circumstances, food safety authorities no longer require validation studies as the risk of foodborne illness is minimal. Dr. Alvin Lee leads one of the research groups around the world that aims to establish the “safe harbor” for HPP acid juices. In addition to pressure-time combinations, evaluating intrinsic (i. e. pH, Brix degrees, water activity, etc.) and extrinsic (pathogen, strain, adapted microorganism, etc.) factors in the food system are crucial to understand which processing conditions will not allow pathogen recovery in acid HPP juices. Research progress is being closely followed by the Juice and Beverage Safety Task Force, an industry led initiative to facilitate microbial risk assessment in collaboration with researchers and food safety authorities. On this regard, consultant Jill Costelow shared a preliminary view of an interactive document that will help processors to quickly identify pertinent pathogens under different “real world” industrial scenarios (i. e. beverage formulation, hot/cold fill, processing in house or at toll facility, etc.). 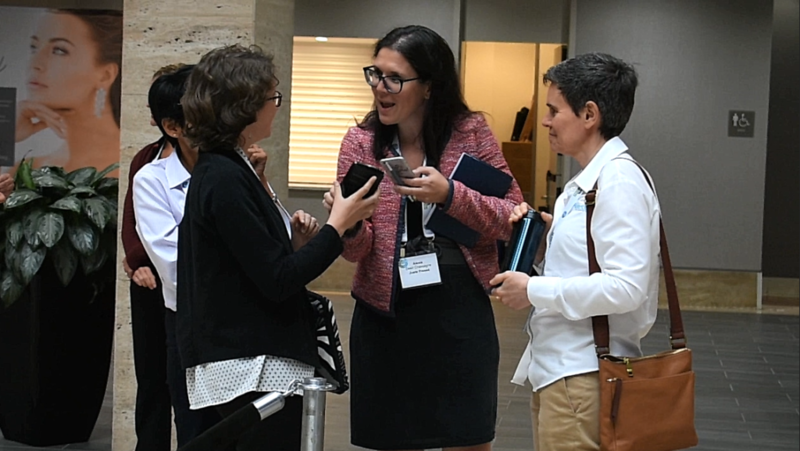 Final details of the interactive documents are being finalized among the task force organizers, before it is shared with participating members for further evaluation.